Going to the dentist can be an intimidating experience, but ignoring the needs of your teeth can have serious health consequences. At Emerald City Smiles, we pride ourselves on being a compassionate team, considerate of your needs. We’re a group of dedicated dental professionals who seek to make your teeth cleaning as easy and painless as possible. 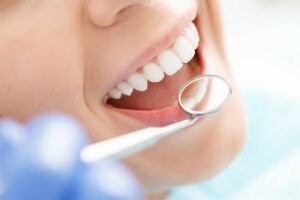 Why Is Teeth Maintenance So Important? As dental experts, we know how important it is to practice consistent oral care and visit your dentist every six months. Don’t let your smile become dull and lifeless. Human mouths are havens for millions of germs and bacteria, and when left unchecked can lead to problems such as tooth decay, gum disease, and gingivitis. Between saliva and contact with food and drink, our teeth and gums are constantly being exposed to acids and other elements that over time can wear down tooth enamel and cause cavities. Think you’re not at risk of common oral and dental issues? Think again! One in two Americans over the age of 30 has periodontal disease. That numbers around 64 million American adults. While you may not have noticeable dental issues yet, this doesn’t mean that there isn’t a problem brewing below the surface. With routine cleanings, dental issues can be spotted before they turn into serious problems. Not undergoing routine teeth cleaning every six months is risky in itself, but there are risk factors that put certain groups of people at an even higher risk. Older people are at a higher risk of suffering from periodontal disease. Tobacco usage is not only linked to lung and heart disease; it’s also linked to a higher risk of dental issues, including gum disease. Obesity and poor nutrition also increase the risk of dental health issues. Both of these conditions are indicators that the body isn’t in optimal health. In turn, the immune system isn’t working at optimal levels. This means that if there’s an infection brewing in your mouth, your body may not be able to fight it off effectively. Other factors that increase the risk of gum disease include high stress, genetics, obesity, poor nutrition, and even certain medications. If you fall into any of these risk categories, it’s even more important that you make routine visits to the dentist for a thorough deep cleaning. For effective oral and dental disease prevention, proper teeth maintenance is a must. We understand that visiting the dentist can be pretty nerve-wracking, especially if you’ve had a bad experience in the past or know that there’s a problem with your teeth. At Emerald City Smiles, we do everything possible to ensure that your visit is enjoyable. It starts with educating our patients about what the dental cleaning process entails. The first part of a dental cleaning is a physical exam. Our dentist will use a small mirror to look at your teeth and gums to spot any signs of gingivitis, cavities, and tartar buildup. If any plaque or tartar is found, a scaler is used to remove any trace of it between your teeth and along your gum line. This part of a cleaning may seem a little scary, especially after hearing scraping in your mouth, but, rest assured, the process is safe and entirely painless. Once your mouth is free of plaque and tartar, now comes time for a thorough brushing. A gritty toothpaste is used to properly scrub and polish the teeth. Just like your regular maintenance routine at home, after brushing comes flossing, and then a good rinse. In no time at all, your teeth will feel cleaner than ever before. After a dental cleaning, you will have the peace of mind that your teeth and mouth are in optimal health. Never Put Off a Dental Cleaning! With preventative teeth cleaning, you can better guard your teeth against plaque buildup, which can ultimately lead to tooth loss. It is recommended that you receive two teeth cleanings per year to ensure a healthy and long-lasting smile. At Emerald City Smiles, we make great efforts to ensure you’re comfortable throughout the entire procedure. All you need to do is lie back and relax, and we’ll take care of the rest! Our dentists and technicians are highly trained to maximize the cleaning while ensuring your pleasure throughout. A healthy smile can make all the difference in how you look and feel, which is why we suggest getting in touch with our office today. You shouldn’t have to feel nervous about your teeth – we want to give you the brightest smile possible! The process of teeth cleaning is not as complicated as it looks. You step inside, where a kindly receptionist greets you and directs you to the waiting area. You pass the time on your phone or with a few magazines before a friendly voice invites you into the next room. There, you lie back comfortably until the dentist can see you. After that, you’re instructed to open your mouth, where buildup untouched by brushing and flossing alone is scraped off your teeth in just a matter of minutes, and for pesky calcium deposits that sometimes form in the crevices or spaces between teeth, the time has come to say goodbye as the dentist does away with them all to give you a perfectly radiant smile. While you may be nervous in the beginning, you can rest assured that after a thorough cleaning, your teeth, gums, and the rest of your mouth will be healthy and not at risk of a serious infection or another health issue. Never put off a dental cleaning. 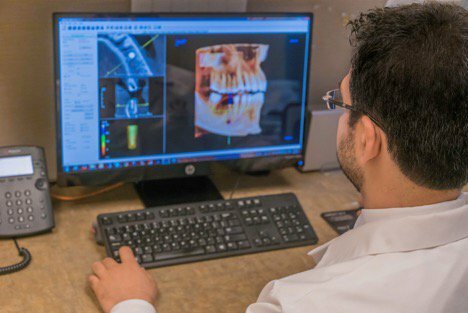 Get in touch with our office as soon as possible and trust our accomplished, helpful dental professionals to provide a thorough oral hygiene and health care. Contact Dr. Nejad with Emerald City Smiles at (425) 775-3446 to schedule your teeth cleaning in Mountlake Terrace today. Serving Mountlake Terrace, Edmonds, and the surrounding communities, one of our friendly staff members will be happy to arrange your appointment, and we even offer free consultations to new patients. We also accept a wide range of dental insurance plans. And while you’re at it, be sure to browse our website and check out our reviews page to see why we’re one of the top-rated dental offices in the region. You can trust us to take care of all your oral cleaning needs in no time. We look forward to serving you!